Fall Summit at the Dovid Oved Retreat Center in Running Springs, CA. 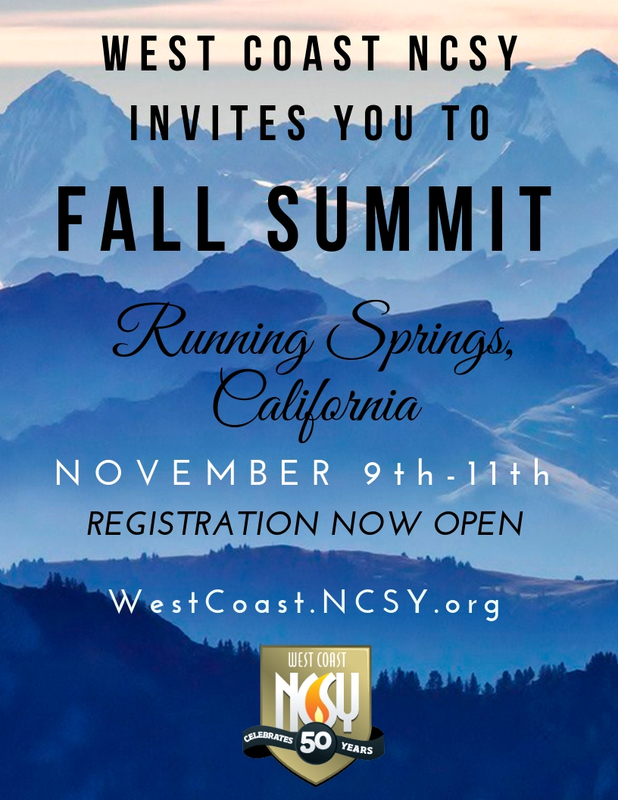 Join hundreds of Jewish teens of all backgrounds and from different areas on the West Coast for an amazing weekend in the picturesque San Bernardino Mountains! Registration closes on Oct 31st! Price includes transportation, lodging, food and activities. After your registration is complete and your deposit is paid, you will be contacted by your chapter director with all of the details pertaining to your chapter. Please contact wcoffice@ncsy.org for more information.